1. PROFESSOR AND TRAINER IN MANAGEMENT from 1970 until now in the Economic University of Bucharest, where I am the head of Enterprise Management course, Knowledge Base Management course, Comparative Management course, Management Computerized Simulations course and Entrepreneurship and SMEs course. I wrote, published and taught, the first time in Romania the following courses: General Management, Knowledge Base Management, Comparative International Management and Intrepreneurial Management. During 1975 - 1976 I have taught in Tuft University (S.U.A. ), in 1976 in Feirlight Dickenson University (SUA), in 1992 -1993 Stockholm Business School (Sweden), in 1990 -1998 in Manager Institute. Starting in 1990 and till now I am trainer too in SC MANAGER GRUP DE MANAGEMENT SI MARKETING INTERNATIONAL SRL, where I have conceived and taught using active training methods - managerial simulations studies, decisional simulations, tests batteries, roll-playing a.s.o. - numerous training courses for companies managers and staff, focused on enterprise management, human resources management, change and innovation management, pragmatic management, financial management. In these courses have been trained more than 5400 companies managers and staff from Romanian and joint-venture companies in Romania. 2. CONSULTANT IN MANAGEMENT AND ENTREPRENEURSHIP from 1976. The main fields are: enterprise strategy, entrepreneurship development, improvement of organizational structure, diagnosis analysis, projection of enterprise management system, feasibility and evaluation studies for SMEs. I have offered consultancy in more than 120 enterprises from various branches: electronic, metallurgical, food, textile, furniture, mining industry. 3. 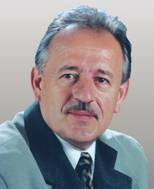 RESEARCHER IN MANAGEMENT AND MARKETING starting from 1967 - 1974 in Economic Research Institute of the Romanian Academy, in the Academy of Economic Studies (1970 - 1996) and Manager Institute (1990 - 1996). I did research in the fields connected to Management refers to the change in the enterprise organization based on organizational variables (1967 -1972) creativity methods (brainstorming, Delphy technique, sinectics) (1973 -1974) , management simulations computerized (1974 - 1976), projection of the company organizational structure (1980 - 1982), managers style and typology (1983 -1984), implementation of R&D and quality improvement projects (1985 - 1989), projection of the company management system (1990 - 1993), development of SMEs (1992 - 1997), methodology and implementation of the firm strategy according to the market economy requirements (1993 -1997), business services for SMEs (1995-1996), characteristics of Romanian entrepreneurs (1995-1998), financial support for SME’s in CE Europe (1997-1998). The research results have been published in 81 books and more than 429 studies and articles. In 1990 I have received for my international contribution in the computerized management game the medal Praha Didactica from International Association for Management Simulation. Two books “Manager and the modern management process” and “Management” have been honored with Romanian Academy Award for the best economic book published in 1980 and 1996. In 2003 I have received OMNIA prize for entire activity in economy field. · IMPROVEMENT OF THE ENTERPRISE MANAGEMENT, ORGANISA-TIONAL VARIABLES, TECHNIQUES AND METHODS. Academy Publishing House, Bucharest, 1973, 287 p.
· ORGANISATION FUNCTION IN THE MODERN COMPANY. Political Publishing House, Bucharest, 1975, 190 p (Management Collection). · MANAGEMENT AND ECONOMICS OF THE INDUSTRIAL ENTERPRISE. Pedagogical Publishing House, Bucharest, 1980, 357 p.
· MANAGER IN THE MODERN MANAGEMENT PROCESS. (with C. Russu) , Political Publishing House, 1980, 420 p (Management Organisation Collection). This book received the Academy Awars for the best economic published book in Romania in 1980. · ADVANCED METHODS FOR MANAGERS TRAINING. Political Publishing House, Bucharest, 1982, 268 p. (Management Organisation Collection). · MANAGEMENT DICTIONARY (co-ordinator and co-author). Political Publishing House, Bucharest, 1985, 907 p.
· ESSENTIALS OF THE MANAGEMENT COMPANY. (with I. Verboncu), Scientific and Enciclopedical Publishing House, Bucharest, 1986, 376 p.
· YOUTH PERTICIPATION AT THE MANAGEMENT ENTERPRISE. (with D. Margus). Political Publishing House, Bucharest, 1982, 359 p.
· MODERNIZATION OF THE MANAGEMENT ENTERPRISE. PARTICIPATIVE MANAGEMENT AND METHODS. (with I. Verboncu and C. Sandru), Scientific and Enciclopedical Publishing House., Bucharest, 1989, 325 p.
· MANAGEMENT. (co-ordinator and co-author). Academy of Economic Studies, Bucharest, 1991, 410 p.
· MANAGEMENT AND MARKETING. (with G. Georgescu), Tribuna Economica, Bucharest, 1992, 352 p.
· EFFICIENT MANAGER GUIDE. (co-ordinator and co-author) , Vol. I, Technical publishing House, Bucharest, 1993, 160 p.
· THE NEWS OF INTERNATIONAL MANAGEMENT. Technical Publishing House, Bucharest, 1993, 210 p.
· MANAGEMENT AND EFFICIENCY. (with I. Verboncu), ’’Nora’’ Publishing House, Bucharest, 1994, 253 p.
· APPLICATIVE MANAGEMENT. (co-ordinator and co-author), ’’MANAGER INSTITUTE’’ , Bucharest, 1994, 212 p.
· MANAGEMENT. (with I. Verboncu), ’’Economica’’ Publishing House, Bucharest, 1995, 407 p.
· SIMACO - TRAINING HANDBOOK. (with I. Radu), “Economica” Publishing House, Bucharest, 1995, 195 p.
· STRATEGY OF THE FIRM (co-ordinator and co-author), “Economica” Publishing House, Bucharest, 1996, 560 p.
· MANAGEMENT. (with I. Verboncu), ’’Economica’’ Publishing House, second edition, Bucharest, 1998, 596 p.
· MANAGERIAL SYSTEMS, METHODS AND TECHNIQUES OF THE ORGANIZATION (co-ordinator and co-author), ¨”Economica” Publishing House, Bucharest, 2000, 528 p.
· SMEs MANAGEMENT, “Economica” Publishing Housae, Bucharest, 2001, 448 p.
· THE MANAGEMENT OF THE ORGANIZATION, (with Verboncu I), Economic Publishing House, Bucharest, 2008, 646 pages, ISBN 978-973-709-343-1.
b) Papers and articles - 429 in books and reviews published in Romania, USA, Germany, France, Spain, Great Britain, Russia a.s.o. The most part of my experience and know-how is focus on Romanian where I make us trainer (1976 – till now), consultant (1974 – till now), university teacher (1970 – till now) and researcher (1966 - 1974). I have been trainer in numerous courses where more than 5000 managers and specialists have participated. Also I have been consultant in 97 companies.